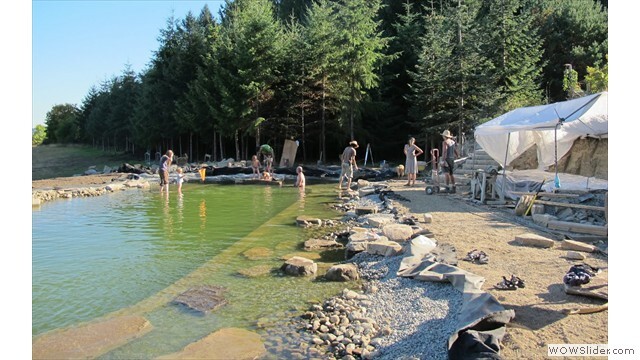 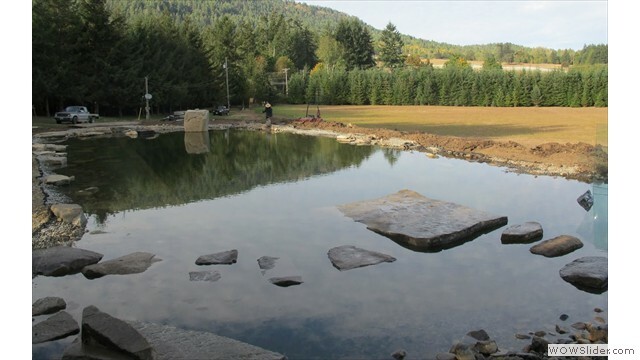 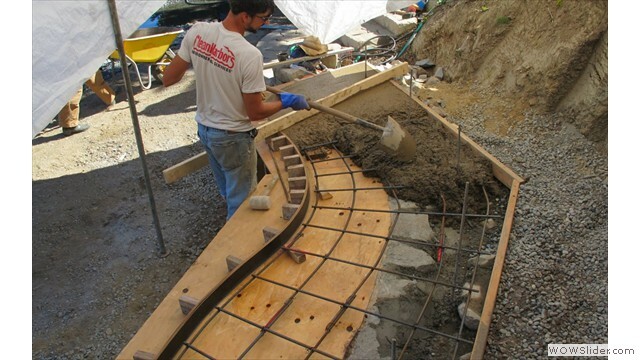 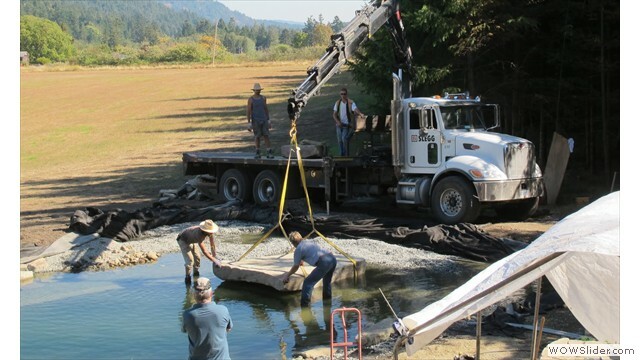 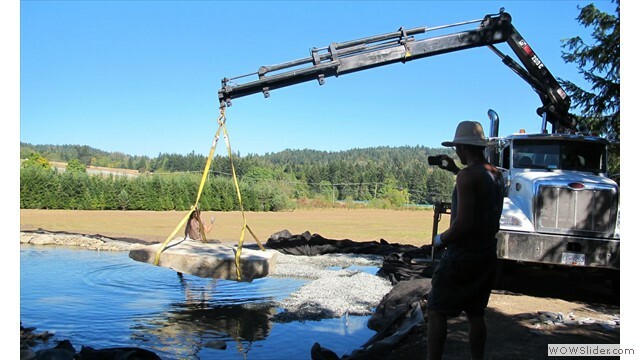 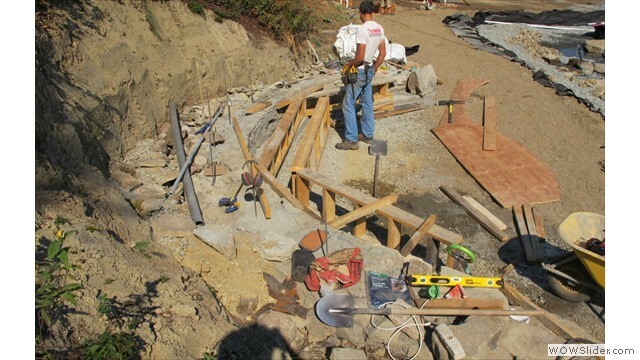 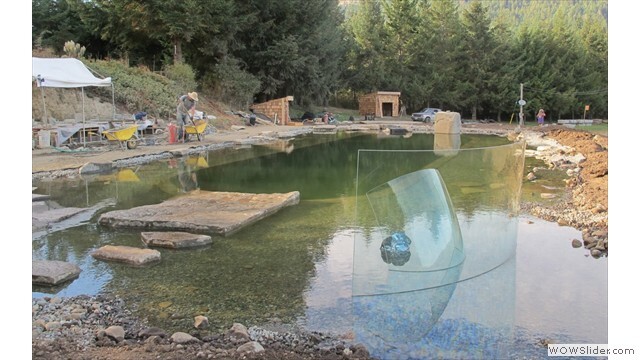 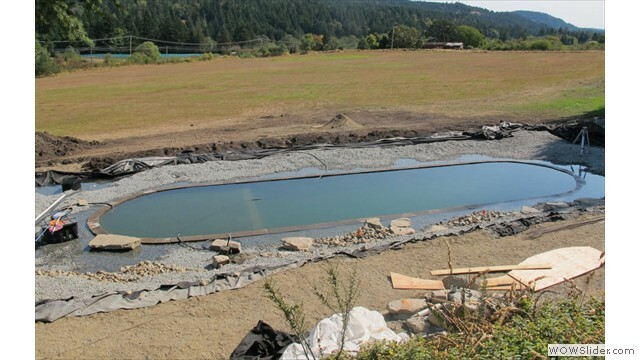 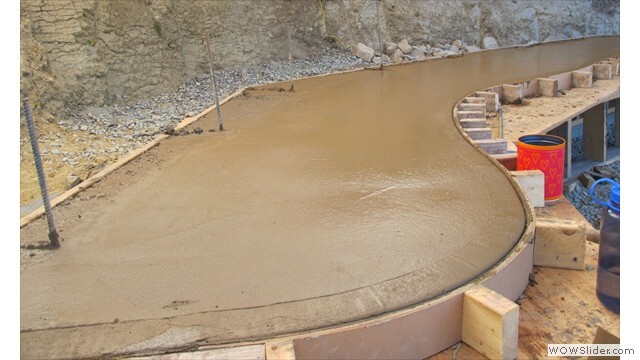 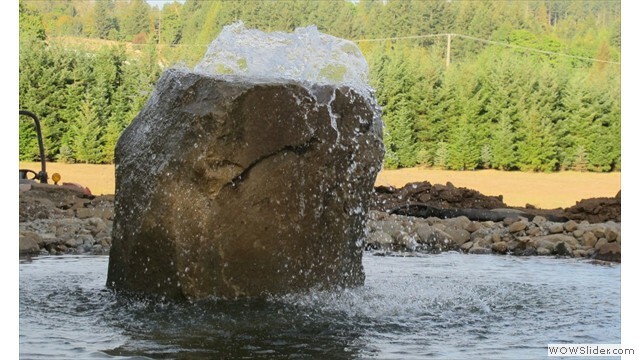 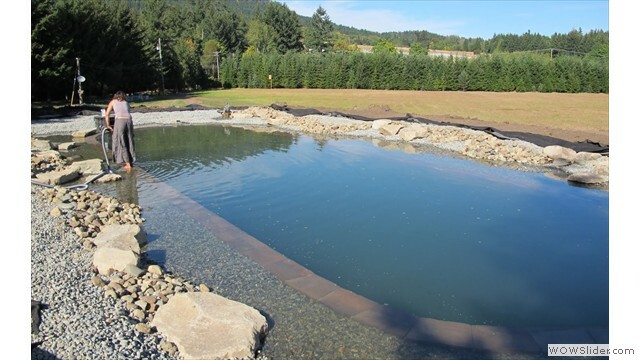 Building A Natural Swimming Pool or Swimpond on Salt Spring Island, the third stage. 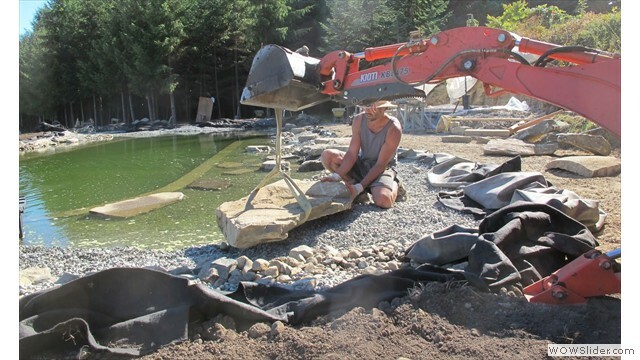 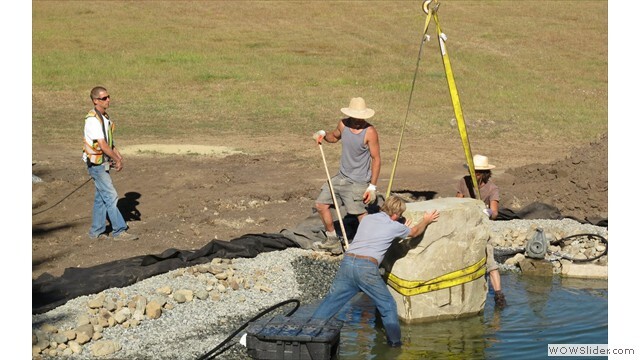 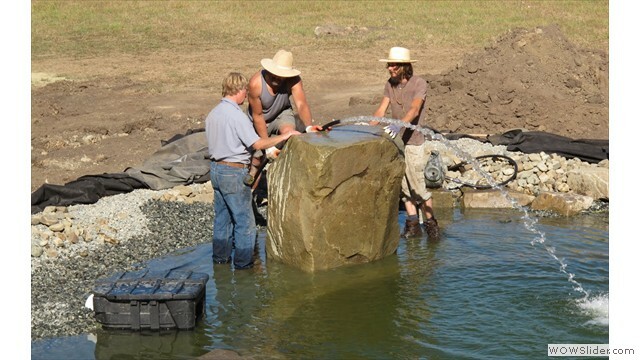 At this stage, we install the large rocks that will form as diving ledges and stepping stones. 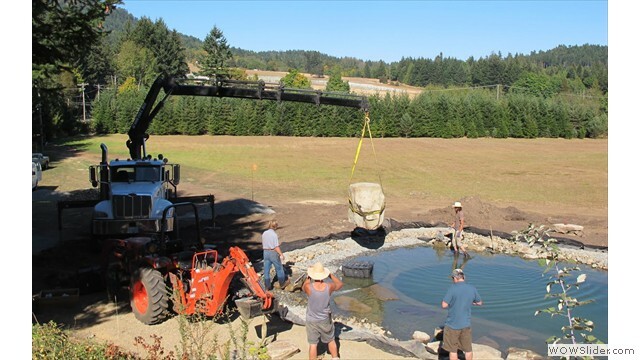 For this purpose, a consignment of massive rocks was delivered to the site and hoisted into position. 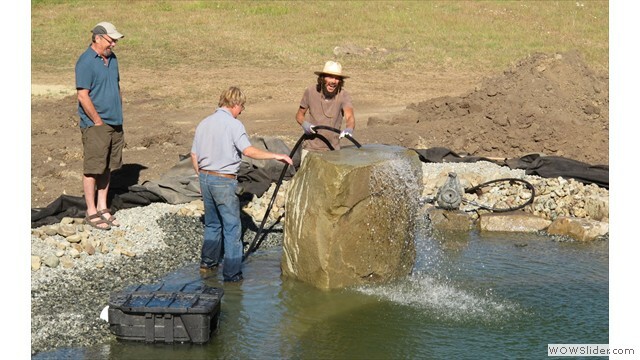 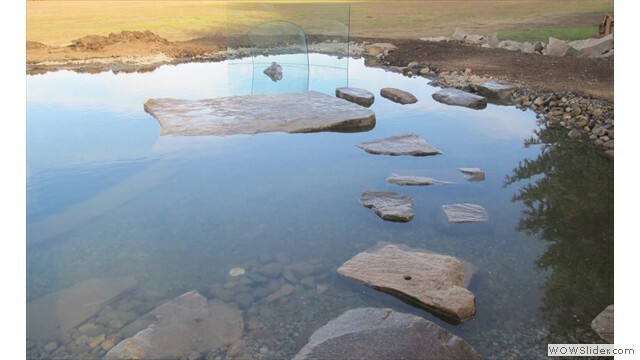 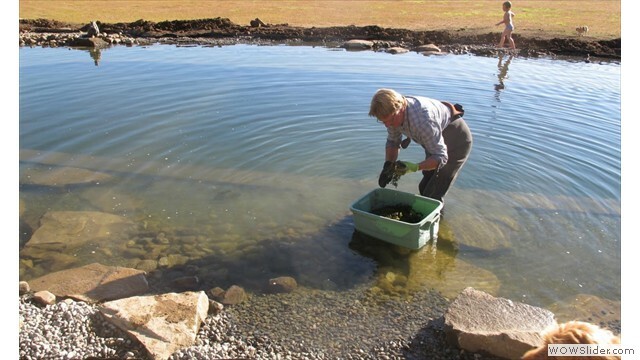 Smaller round rocks are used around the edges of the pond create a transition between the gravel beds and dry land. 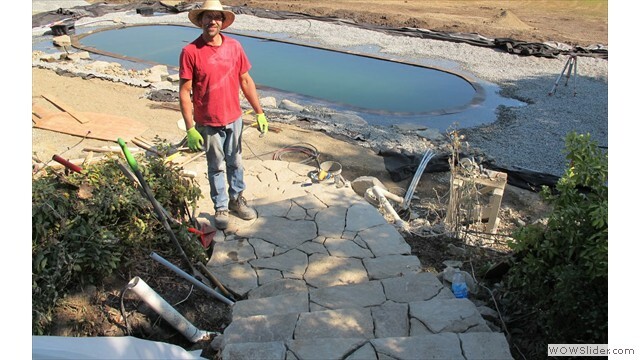 The supporting landscaping includes two flights of stone steps to the dwelling and a curved concrete bench for the sitting area. 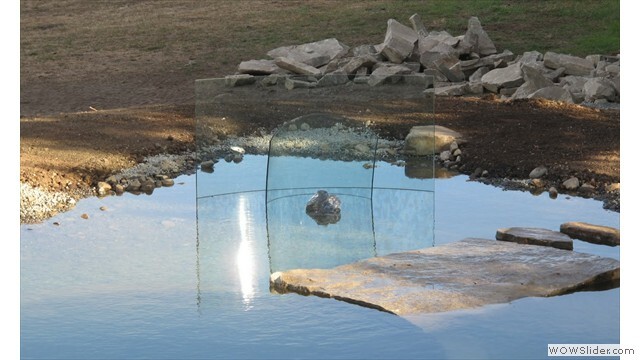 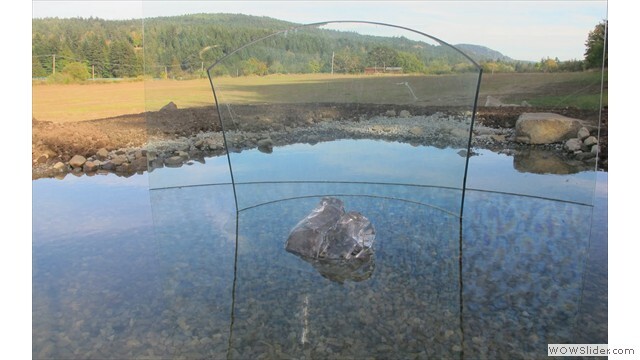 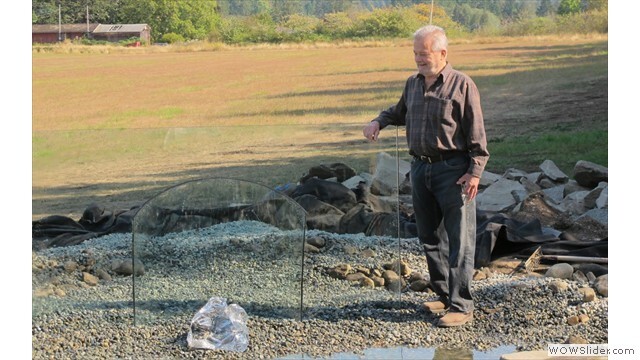 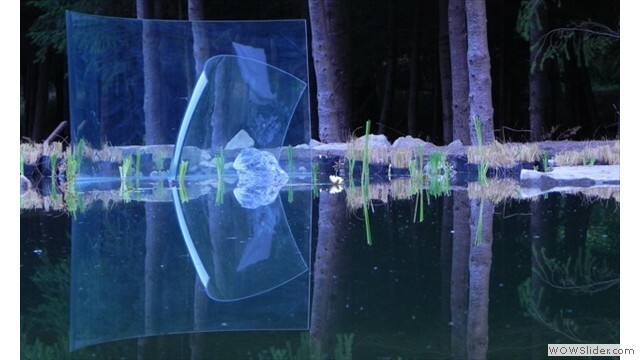 At this point, a sculpture by glass artist Horst Molleken was set in the shallow end before the water rose and surrounded it. 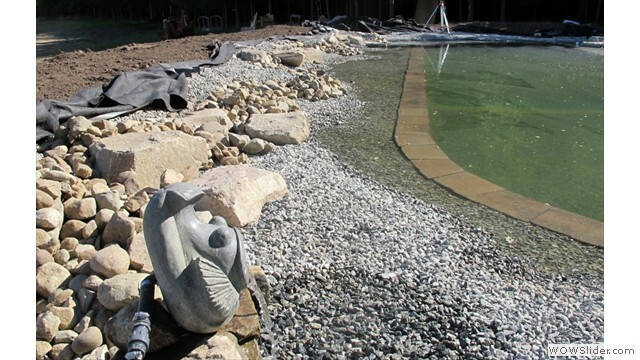 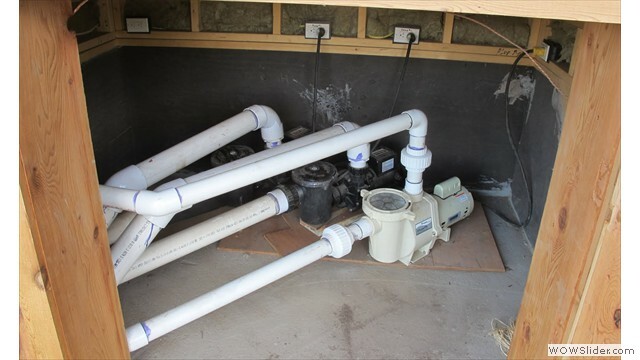 When the structural work is finally done, the pipework and pumps are tested, and the pool cleaned of debri prior to planting. 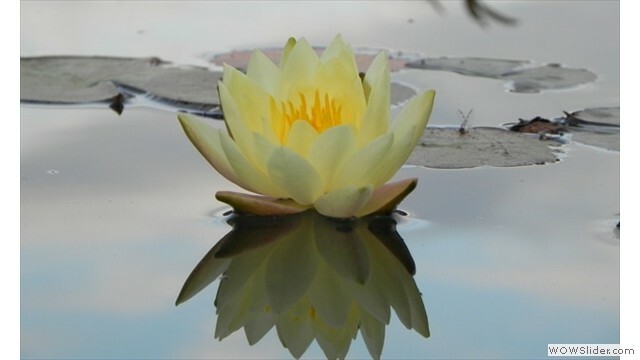 We begin to enjoy the effects of changing light on the water, the first water lilies floating on the surface, and to observe the wildlife visitors that begin to take an interest.